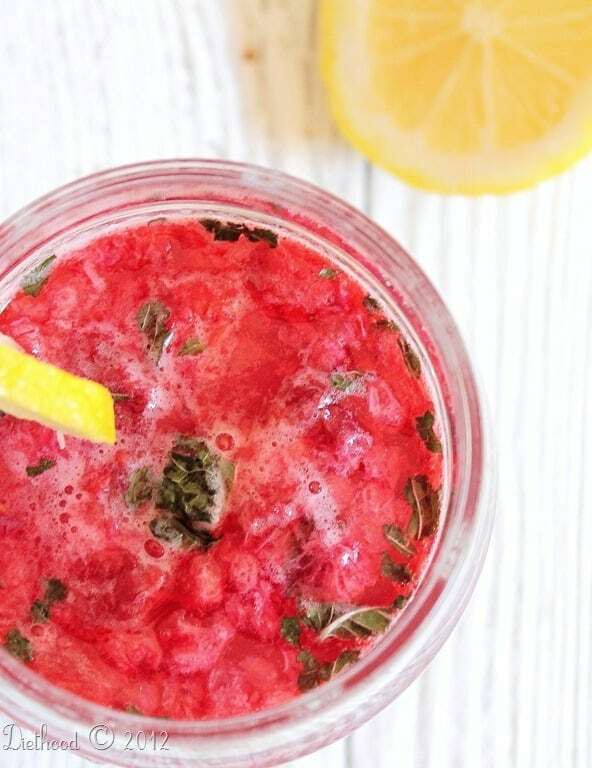 Raspberry Lime Soda Lemonade – Lemonade made with lemons, raspberries, and lime soda. I don’t want Summer to go!! I often think about moving to a seriously warm place. Summer from January to December. Sun and beach all the time. Then I begin to think about Santa Claus in shorts and the whole idea is shot. Yes, Santa in a suit with red shorts – Sydney, Australia, circa January 2001. Best. Laugh. Ever. Christmas in Australia – everyone needs to experience it. Another risk would be Holiday food. It just doesn’t taste the same in warm climate. Well, maybe it does, but in my head it is set that it doesn’t. But before we say bye-bye to Summer, we get to enjoy one last day outside with family, friends, the grill, and a glass of cold lemonade. 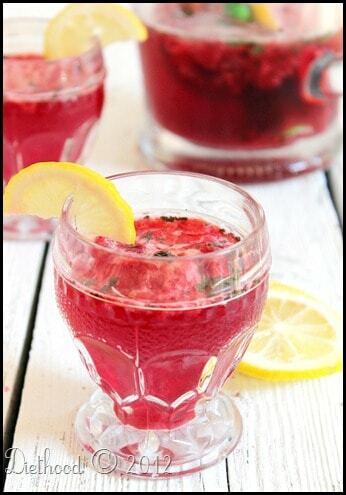 Raspberries and Lemons. I really like this combination. Add a bit of mint and Lime Soda and I’m in love. Pour in some vodka and I’m obsessed! That’s the wonderful thing about drinks; grab a pitcher, some ice, and let your taste buds lead the way. No measuring, no cooking. Just you and your drink. But, I kept this recipe clean. No booze. Kid-friendly. Word of advice… Put some vodka (or Rum) in a flask, then mix it into your glass. Don’t worry. Everyone is doing it. 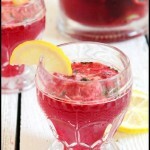 Refreshing summer drink! 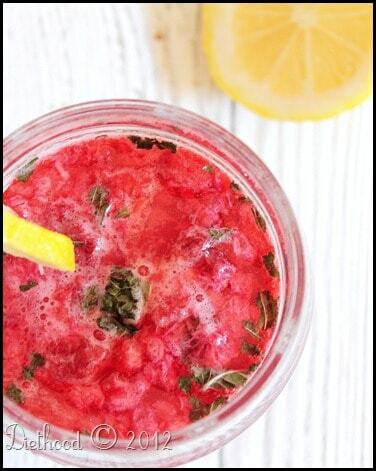 Lemonade made with lemons, raspberries, and lime soda. 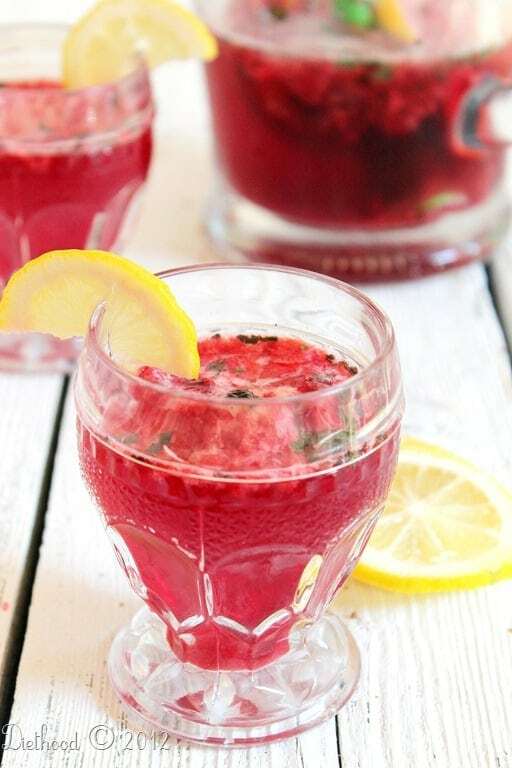 Place the raspberries and mint in a pitcher and muddle together. If you don't have a muddler you can use a potato masher. Add in the rest of the ingredients and stir until well blended. Love it!! What a perfect drink for the end of summer! I hope you had a great holiday weekend! Kate…what a sweet farewell toast to summer! 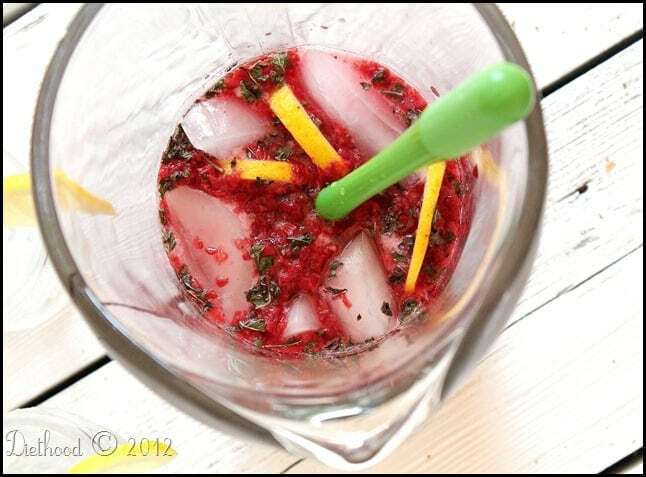 I love the combo of raspberries and lemons in drinks, too! But I think I’ll take your advice about that flask of vodka! ;- } Gorgeous photos! I am not ready for summer to be over either..it seems to have went by sooo fast. This drink looks really refreshing! I can’t wait to give it a try! I’m not ready for summer to go either, luckily the warm days stick around for a while longer where I am so I can enjoy it for a bit longer. The perfect afternoon pick me up! Hey – so how did you do with preschool?! I like the mint in this recipe! What a refreshing twist that adds to the drink. Have a great and safe Labor Day weekend Kate! I hope the rain holds off for your BBQs! Cheers!